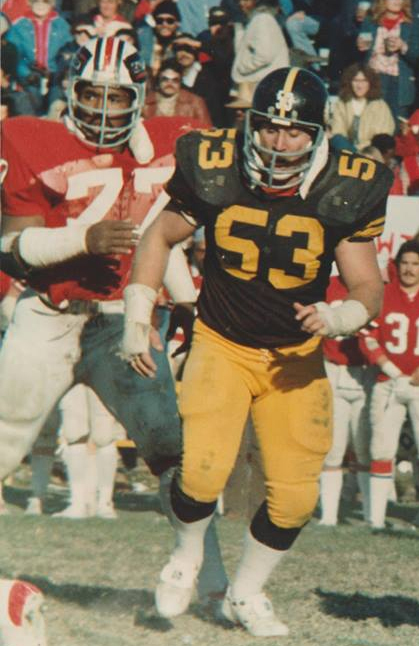 Fred, now Dr. Fred (he earned his Ph.D. in industrial technology from the University of Northern Iowa), was named the Raiders’ offensive captain in 1980. Fred turned 48 and was recently married to Kim in 2004. He teaches at Tennessee Technological University. He was so proud of his first championship ring that he gave it to his dad, Lou, who stood in for him at Alumni Night in 2004 while he was in China taking care of work.